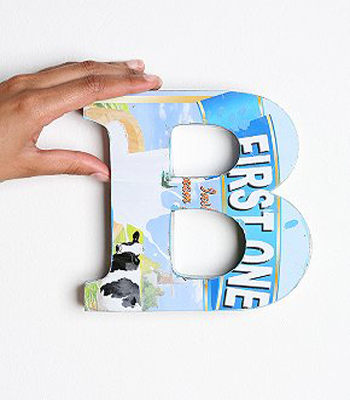 Pop Art Minis: Font-tastic Fun...LOVE Letters? I DO! Font-tastic Fun...LOVE Letters? I DO! Greetings on the doorstep. Stenciled letters painted with a passion for Home Made or maybe just a simple WELCOME . . . a perfect greeting for your family and friends! 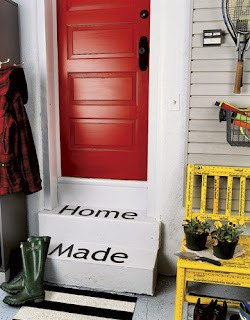 The possibilities are endless and the message a perfect introduction to what lies beyond the red door...or brown door or YOUR door! 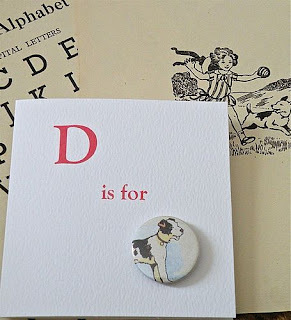 A simple letter...add a button...vintage and very fun! Perfect for framing in a shadow box frame or maybe a greeting card for a special friend! C is for CUTE as Can Be! Cut your favorite letter from cardboard, plywood or even purchase pre-made and you've got yourself the perfect palette for creating something uniquely your own! Scrapbook paper decoupaged onto the surface and embellished with fun accents makes this letter stand out in a C-rowd! Go ahead get C-reative with your favorite letter! Ornaments! 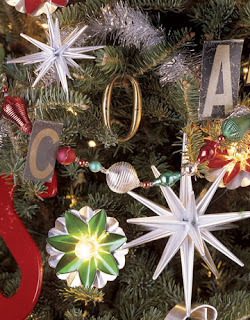 It's that time of year when we start to think about decorating the Christmas tree and these vintage look letters are a fun accent that add a graphic and antique look to the tree. You could even add a little crystal glitter and a ribbon hanger to make them even more festive and fun! EYE C U . . . who would have thought that an eye chart would make a lamp shade "eye-popping" and fun! Here's a link where you can print your own eye chart if you have a decorating vision for this 20/20 project! 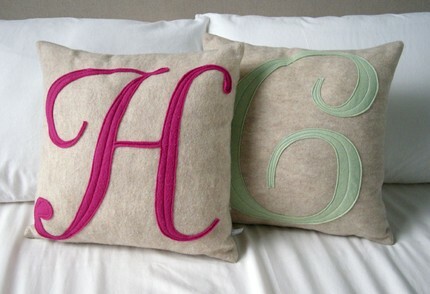 Monogrammed pillows never go out of the style and these whimsical felt letters add the perfect touch. Be creative with your fonts, colors and styles for a one of a kind accent that will pop with "fabulousness"! Plates! A perfect place to host a fon-tastic party and share a favorite saying or message! Whimsical, fun and recycled...you can't beat it! Vinyl letters can be found in many styles and can easily be applied to the smooth surface of a plate. Add a hanger to the back and arrange your message for a fun twist to graphic wall art or the collection of goodies that rest below! Framed Fonts! Simple frames become simply amazing when you add a few golden (or any color for that matter) letters to the mix. Stack them, turn them on the side or even rest them inside one another for an abstract and fun wall decor twist! Recycled! Anything can become a letter...from cardboard boxes to old maps trace or draw your own letters onto the recycled canvas of your choice and create an alphabet with a second chance for fun decorating flair! Wall of Letters! Mix, match and just go crazy with different fonts for a graphic and fun statement all pulled together with coordinating color! A definite conversation starter for sure! Now after all that Fon-tastic inspiration and you have a new found love for letters (or is that love letter..hehehe) that might require oh, let's say a few Animal Alphabet posters, perfect for framing, I just happen to have some Animal Alphabet Soup ready to go in my Pop Art Minis Zazzle Store! Just what the Doctor Ordered! hehehe! I love fonts too! I love your animal alphabet soup... I've been having some fun with a Stars Wars font and a Super Mario Bros font that I found online! HI Christine! Love the idea of the Stars Wars and Mario Bros fonts. I'll have to do some google searching to find them! Best of luck with your fon-tastic projects and thanks for leaving an awesome comment! LOVE IT!